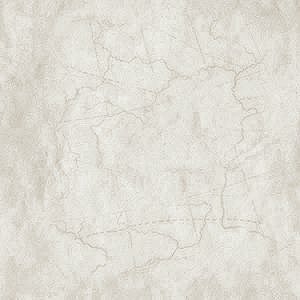 The company was founded in about 1907 by Henry J. Webb, an experienced and practical engineer. The premises were at 62 and 63 Bradford Street, Walsall, and consisted of a retail shop on the ground floor, with an office, stockroom, and workshops above. In the shop, all kinds of electrical items were for sale, ranging from electric light fittings, electric lamp holders and shades, lamps, wires, switches, telephones, electric bells, electric novelties, hand lamps, torches, carbons for arc lamps, etc. The firm specialised in lighting and power installations, and stocked all components for the lighting of country houses. 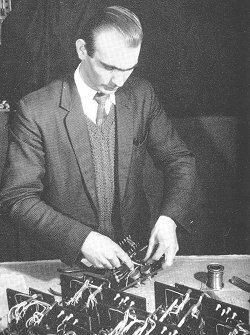 The firm carried out electrical installations in large or small factories, and fitted electric lighting to cars and other vehicles. 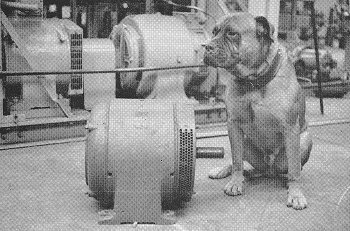 In later years, all kinds of repairs were made to electrically powered industrial machines, and power installations were carried out. 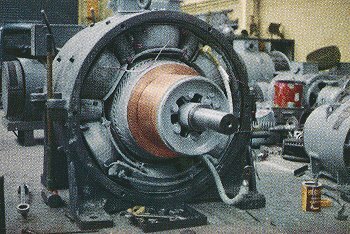 Other services included the rewinding of electric motors, and the building to order of transformers, geared motors, and variable speed motors. 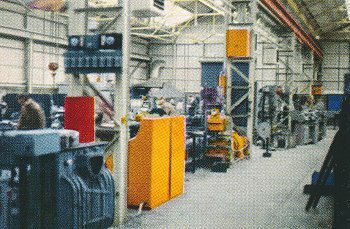 By the 1950s the firm had a factory in Rollingmill Street, Walsall called Robust Works, while still retaining the Bradford Street premises. The factory in Rollingmill Street. From 'The Steel Casting', courtesy of Wendy Marston. The Managing Director Mr. Francis Webb. From 'The Steel Casting', courtesy of Wendy Marston. 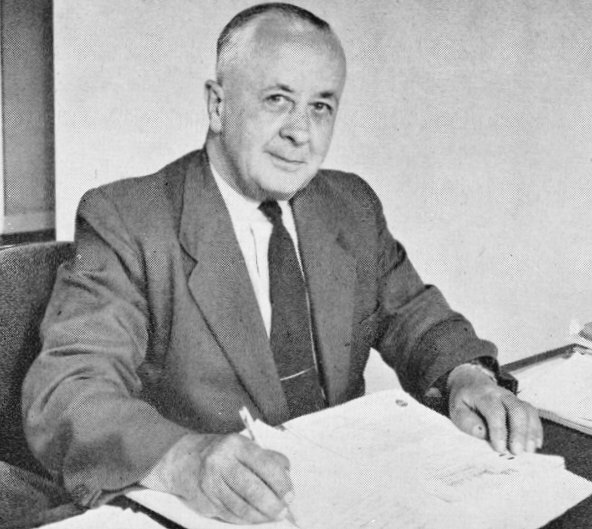 General Manager Mr. W. T. Williams who joined the company in 1913 after leaving school. 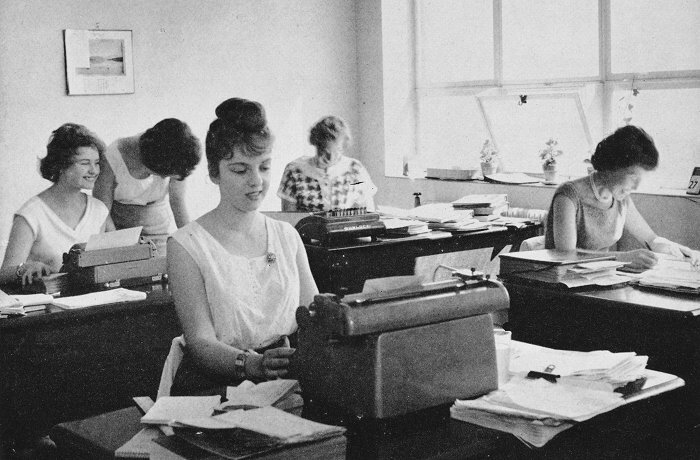 Some of the secretarial staff in the office. From 'The Steel Casting', courtesy of Wendy Marston. An advert from 1976. 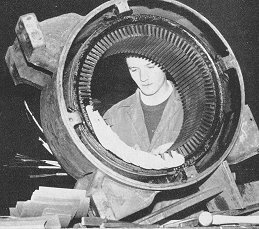 In about 1960 the firm became part of the Lloyd Group and a new up-to-date factory was built in Rollingmill Street which included a wide range of equipment to improve the efficiency of the electrical repair department, and to speed-up repairs. The new equipment included an electrically-heated stove with a loading capacity of 400 cubic feet. It had two powerful fans to circulate hot air, ensuring an even temperature throughout, and accurate temperature control. 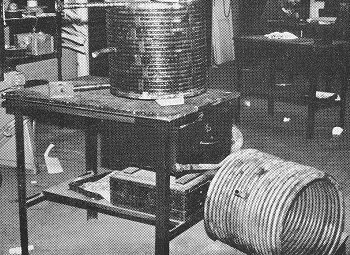 It was mainly used to dry windings that had been impregnated with insulating varnish. 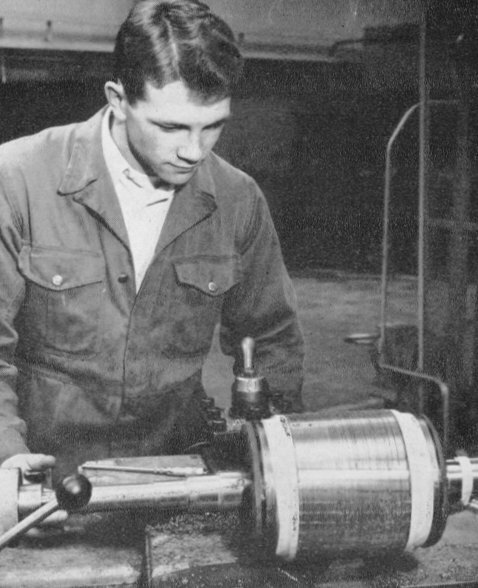 The installation included heavy duty coil winding machines which had been designed and built in-house, and could handle the large high frequency coils used for the melting and heat treatment of metals. Metal spraying equipment was also installed along with a heavy duty hydraulic press to deal with the extraction and fitting of rotor shafts. 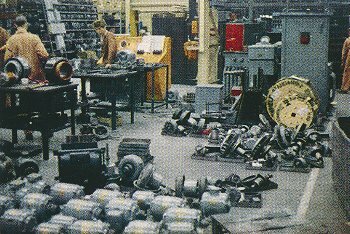 The works department had the facilities to repair all kinds of electrical tools, and a large stockroom for replacement parts, enabling an almost 'repair while you wait service' to be carried out. 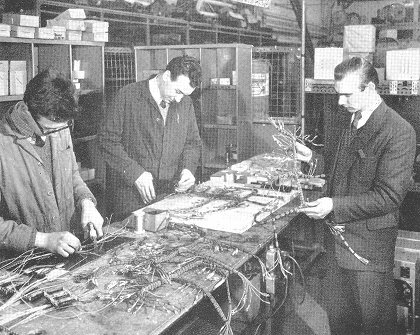 By 1961 the firm employed over 100 skilled men, some of whom started as apprentices in the company's training scheme in the Bradford Street workshops. There were also contracting and maintenance departments, and a subsidiary company EMCO Limited that provided a 24 hour maintenance service for all kinds of electrical and electronic plant throughout the Midlands. 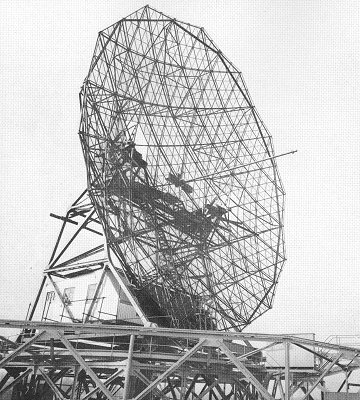 In the early 1960s EMCO carried out the installation and wiring of the controls for the radar dishes (including the one in the photograph opposite) at the Royal Radar Establishment at Defford near Malvern. On 12th August 1969 F. H. Lloyds became part of F. H. Lloyd Holdings Limited. 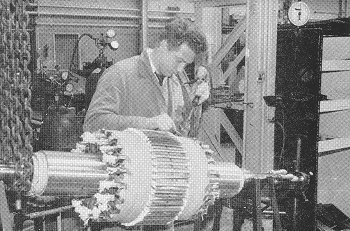 Mr. J. Morrell at work, machining a rotor core in 1961. 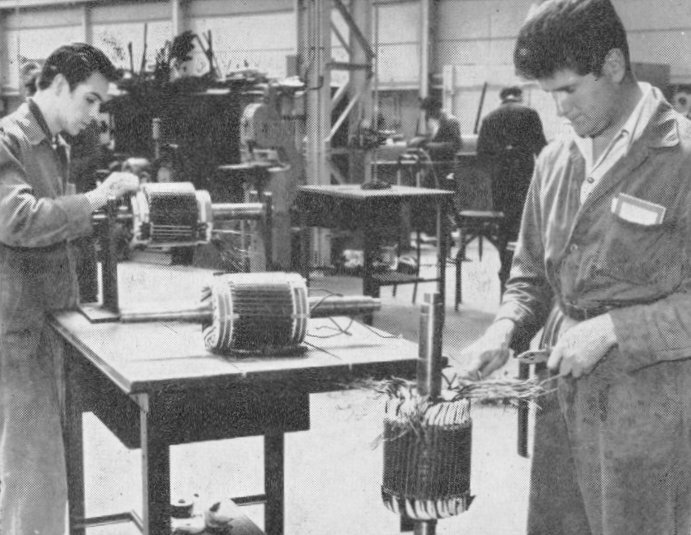 Pat Clift and Alan Rose winding and connecting rotors. From 'The Steel Casting', courtesy of Wendy Marston. 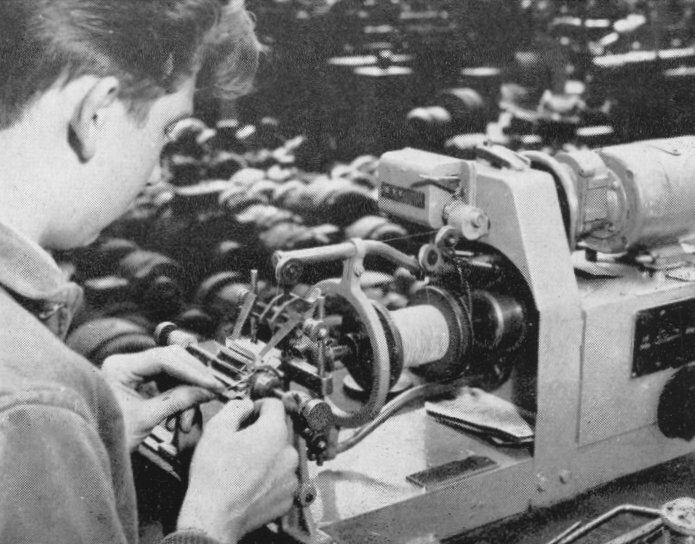 Mr. J. Davies, winding an armature for a small electric motor in 1961. From 'The Steel Casting', courtesy of Wendy Marston. 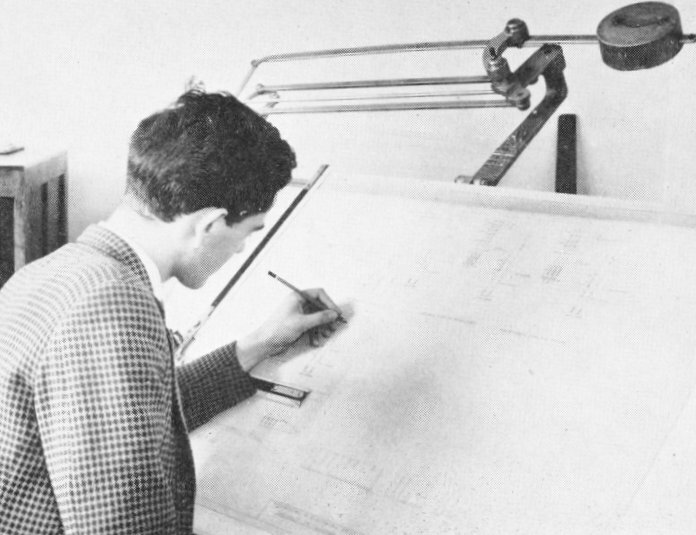 Colin Webb, son of the Managing Director at work on a drawing board. From 'The Steel Casting', courtesy of Wendy Marston. A newly wound replacement high frequency coil, and the control panel on one of the automatic machines. 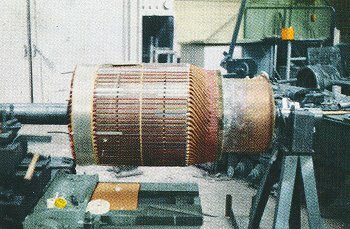 The maintenance department, and a partly completed motor rewind. The company's stand at the exhibition at James Bridge Steelworks to celebrate the British Steel Foundry Year, in 1962. 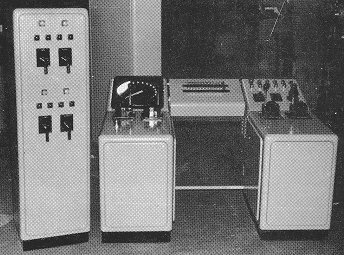 In 1963 the company opened an electronics section to produce control equipment for a wide range of industrial applications. 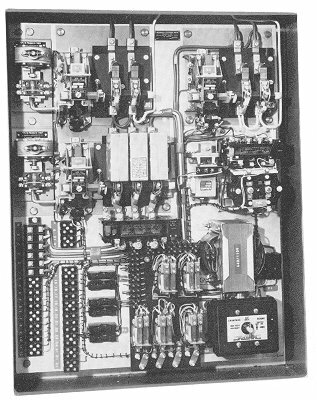 The photograph opposite shows a control panel for train heating boilers which provided fully-automatic control from the driver's cab. The panels were fitted to diesel locomotives by Spanner Boilers Limited. 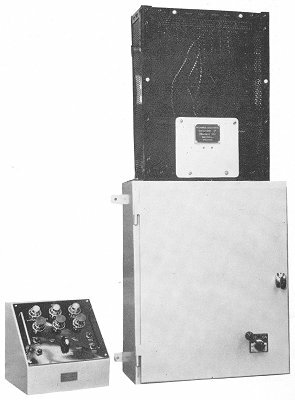 Other products manufactured by the section included an electronic timer unit, timing from 0 to 100 seconds, and temperature control units. Producing wiring looms, and wiring small control units. 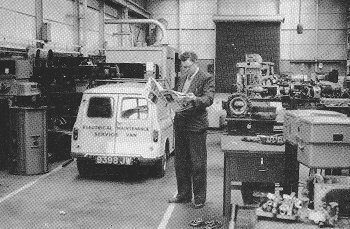 All kinds of electrical equipment was overhauled in the company's workshops, including the 200hp. Sulzer-Haywood Tyler 150,000 gallons per hour submersible pump opposite. 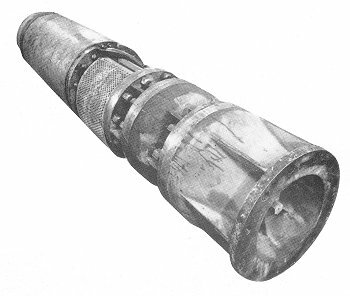 It was used to lift water into a canal from an underground reservoir, via 170 ft. of 12 inch diameter steel pipes. 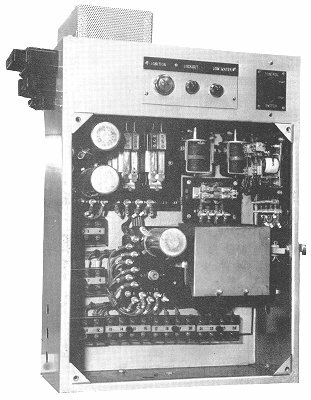 Examples of the company's electronic control units. In 1971 the firm completed its first export order to Yugoslavia. 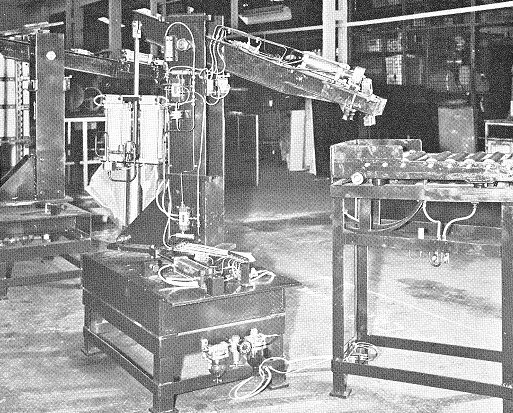 It was for the 2-billet pneumatically operated handling arm shown opposite. 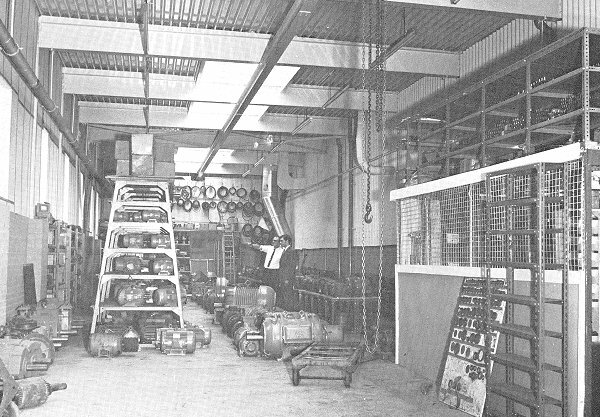 The new 3,600 square feet storage bay, designed and installed by E. C. & J. Keay in 1971. Keays also built a new works canteen with vending facilities. 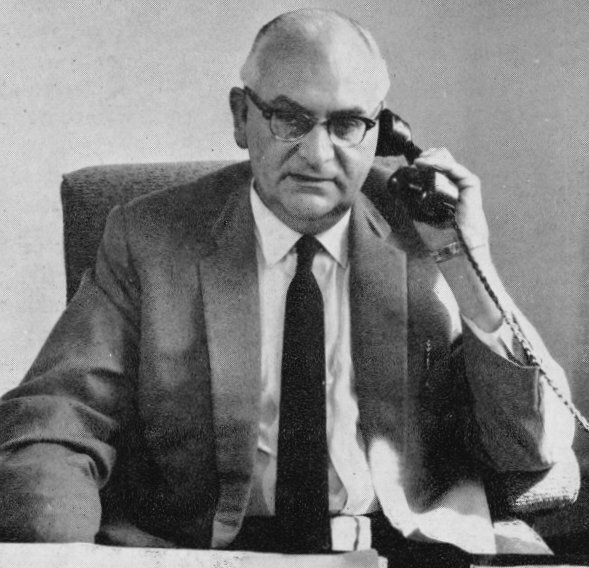 In 1972 the Directors of F. H. Lloyd Holdings Limited decided to restructure the company to bring about more effective coordination of marketing programmes, production techniques, research technology, and to improve inter-company communications. In order to achieve this the companies were grouped into three divisions; engineering, foundry, and steel. The restructuring was announced in December 1972 by Mr. M. C. Lloyd. 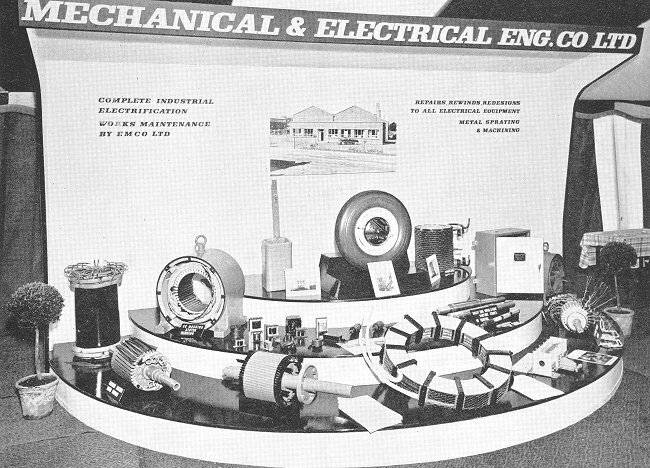 The Mechanical and Electrical Engineering Company Limited and EMCO Limited became part of the Engineering Division. Sadly the firm closed after becoming another victim of the recession in the 1980s.